There are so many factors that go in to keeping a car running at peak performance, but none of them are more important than routine maintenance and service. At certain times in the life of any vehicle, there is necessary maintenance that has to be completed in order to ensure that it continues running as intended safety at all times. 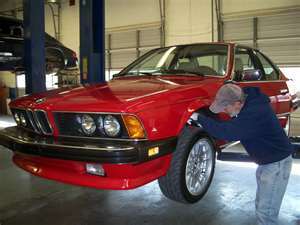 An experienced and knowledgeable mechanic will need to be used in order to guarantee the best results. A 90k Mile Service in Everett is important and skipping it could put a car in disrepair later down the line. Here are a few things to expect when having a 90k service completed on any automobile. One of the first components that are usually checked during a 90k mile service is the timing belt. The timing belt is used on the crankshaft of a vehicle to make sure that the valves of the engine open and close properly. Without the timing belt, the car will not be able to run at all due to lack of compression. Just like any other belt on the car, eventually the timing belt will need to be replaced before it breaks, which is the whole reason behind checking it at the 90k mile mark. When performing the 90k mile service, a technician will also look at the vital components of the brakes. The pads of a braking system will wear out way before it hits the 90k mile mark, but other vital components such as calipers and rotor will not. Neglecting to have these vital components checked may lead to the caliper replacement and a much more expensive repair bill. When looking for a 90k Mile Service in Everett, be sure to contact the team at Conaway Motors. We will be able to service your vehicle and have it back on the road in no time. Be sure to contact us at (425) 905-2424 for more information.